The Audeze EL-8s arrive very smartly in their charcoal grey packaging, their logo has changed recently and a lot of attention seems to have gone into their branding. Everything is smart and slick but still has that ‘pick me up and stroke me’ quality to it. Audeze seem to have considered that big beefy men with thick necks are not the only ones interested in their headphones, these have a definite feminine appeal without being at all ‘girly’. In the box there is also a tidy little drawstring bag and a good length flat, rubberised headphone cable. This terminates in a 3.5 mm jack and the handily include a ¼ inch adaptor. The other ends terminate in adaptors specific to these headphones so other off the shelf cables won’t fit, though I imagine there will be cable companies making after market options for upgrades soon. There are also other cable options available for different devices such as A&K, Pono and Apple. 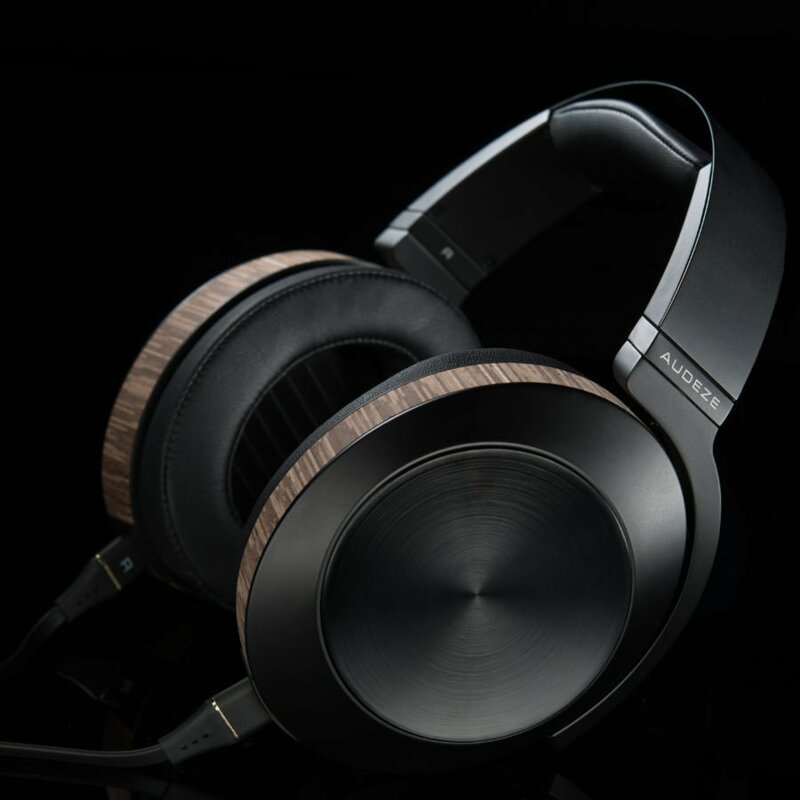 The design is beautiful, there is a more elegant feel than to the previous headphones yet they still retain their identity as an Audeze product. The brushed, black metal of the headband and earcups is beautiful and the oval earcups feel just right as you pick them up and swivel them. The headband has comfortable central padding and Audeze have kept the signature thick ear cushioning that makes you feel like you are sinking into an armchair. 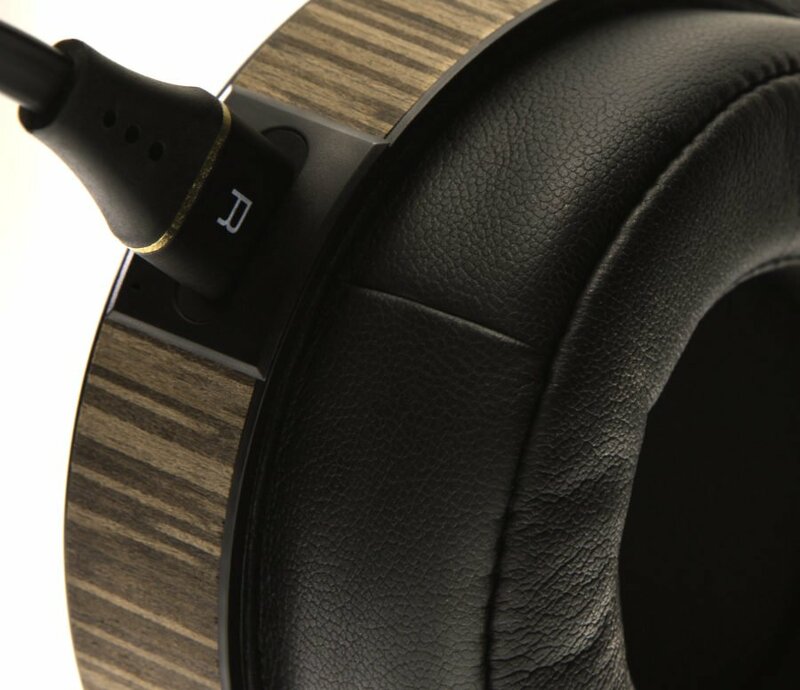 The detail of the wood veneer around the earcups again underlines their Audeze heritage. 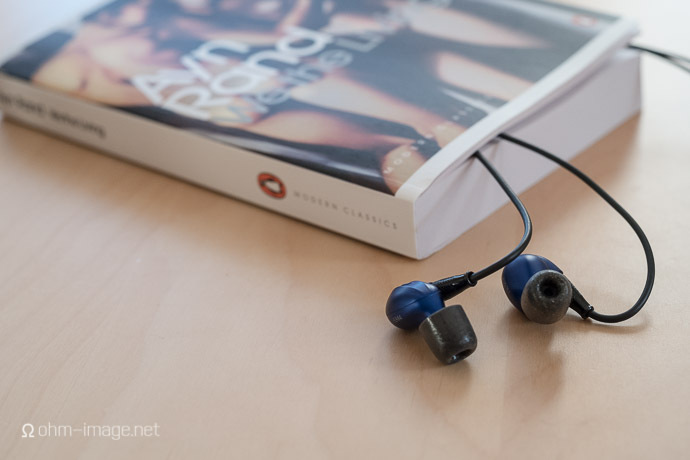 They do feel instantly comfortable on the head, and are very isolating, there is definitely the cocooning feeling that we noticed with the LCD-XC headphones previously. Gesaffelstein AKA Mike Lévy, is a French Techno DJ and producer who makes dark, industrial, bass laden tunes. Right from the off I am really impressed with the sound, I don’t need to crank the volume on the FiiO to get the best of the EL-8s, but then the FiiO is a great little player in it’s own right. I’m getting big, driving bass with a dark sense of foreboding. The drum kicks are tight and the vocal on ‘Out of Line’ is commanding and sassy. ‘Pursuit’ has a hectic, ‘run for your life’ feel, just as I imagine Gesaffelstein intended. Delicate sounds are not lost though, the sound of a fire burning at the start of ‘Nameless’ has an ethereal quality to it and seems to encroach on me from all around. There is deep bass at the start of and throughout the track ‘Hellifornia’ and I can almost feel the EL-8s moving the air around me. The beats are very accurate and the overall effect is incredible, no flappy flabby bass here. 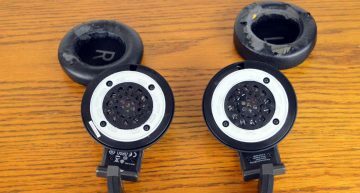 The soundstage has that great 3D quality that I look for from a pair of headphones with different parts of the music coming from different directions. For comparison, I run a cable from the F5 into my ami headphone amp. The sound is even better, just seems to have a bit more oomph to it, which is what I had expected….however, I would be perfectly happy listening to these direct from the X5 while out and about or not at my desk. I also get the LCD-XC out ….in the name of reviewing science, you understand I’m sure. There is more detail with the LCDs and yes the soundstage is more complex but then these are a much more expensive headphone than the EL-8, they have Holy Grail status but they do have their drawbacks if you want to do anything other than sitting in one place whilst listening. When I put the EL-8s back on after listening to the LCDs there is no sense at all of them being a lesser headphone in any way……just a different headphone. 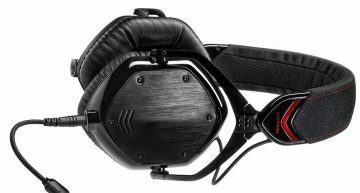 They seem to me to have the ‘out of head’ feeling that the other Audeze headphones have, it does come across as their signature sound and I really think it is retained in the EL-8, even with it being cheaper, lighter and more liveable with for ‘normal’ (ie not audiophile) people. Time for more music, Chase & Status’s ‘brand new machine’ album has been getting plenty of plays in our house, I particularly like the ‘bass in your faceness’ of ‘International’. This is only an MP3 copy but it still sounds great on the EL-8 ….it’s probably as far as you can get from ‘audiophile music’ but I imagine the price point of the EL-8 will attract a younger buyer who quite possibly doesn’t want to listen to all that plinky plonky stuff and gentle female vocals. 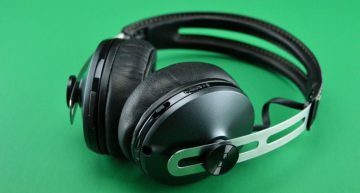 The EL-8 really delivers on every aspect of this kind of music and does bass without overdoing it…..my kind of headphones. Of course, it’s that time again folks……Hardfloor’s ‘Once again back’ is a track I ALWAYS play when reviewing. That deep, growling bass sounds just as imposing and threatening as it should, this is a track which shows up the bad points of a system but the EL-8s deliver everything from the deep sub bass, to the swirl of the 303 top end perfectly. Nice! Sasha’s track ‘Xpander’ is a hands in the air dancefloor classic from the late 90’s. On the EL-8 the sound is big and clubby, I get chills and feel like I should be dancing in Ibiza. I’m listening to one of my X5 playlists and the next track is Orbital’s ‘chime’ ….I’m in Old Skool Heaven, listening to my kind of music on a great sounding system. Another great test track we have started using is Daft Punk’s ‘Contact’ from Random Access Memories. It’s a track that shows either sounds amazing or makes the flaws in a system very evident and we played it a good few times in Munich. The track builds and lifts and will literally give you goosebumps …there is just so much going on, from crazy drumming to synth and guitar, that it can sound horrible…but on the EL-8s it sounds truly triumphant. I realise that I have only listened to electronic music whilst writing my review, even though I’ve listened to other stuff previously on these, but that is the music that I generally like to listen to and the EL-8s really do do it superbly, but I do think I should give some other genres a go and pop on Gil Scott Heron. ‘Pieces of a Man’ sounds beautiful, a complete change from what I have been listening to. The vocals and instruments sound incredibly real, the natural reverberation of the bass underpinning Gil’s sweet but husky vocal. I just want to close my eyes and listen…….so I do to the rest of the album. The sound is very natural and moving to listen to, it’s a real sense of hearing everything in the music, the twang of the guitar string, brushes on snares, it’s like sitting in a dive bar drinking whisky, watching a great band and not caring that you are going to get into trouble when you roll up at home late. That’s what great hifi should do, whether headphones, speakers, amps, whatever….connect you to the music in a way that makes you want to listen and listen. 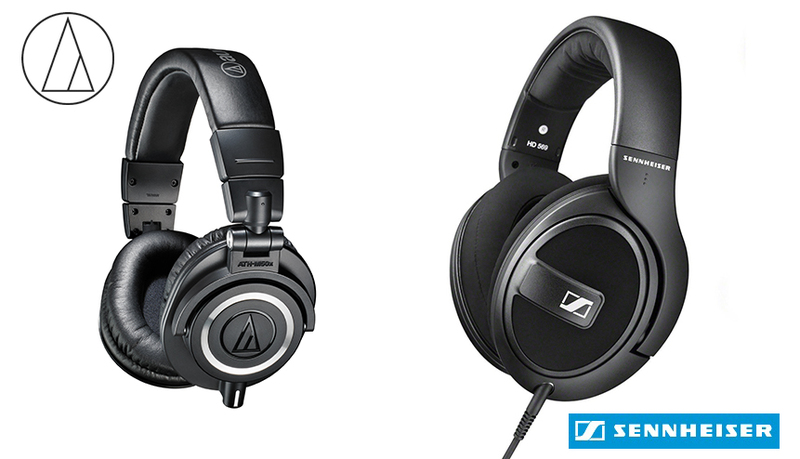 That is something that Audeze have managed to do very well indeed…I’d say they’ve nailed it.